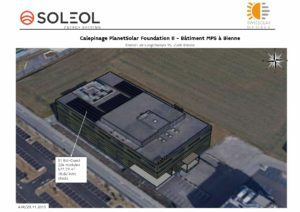 PlanetSolar Foundation will soon produce its own energy and cover its operating costs thanks to the sun! 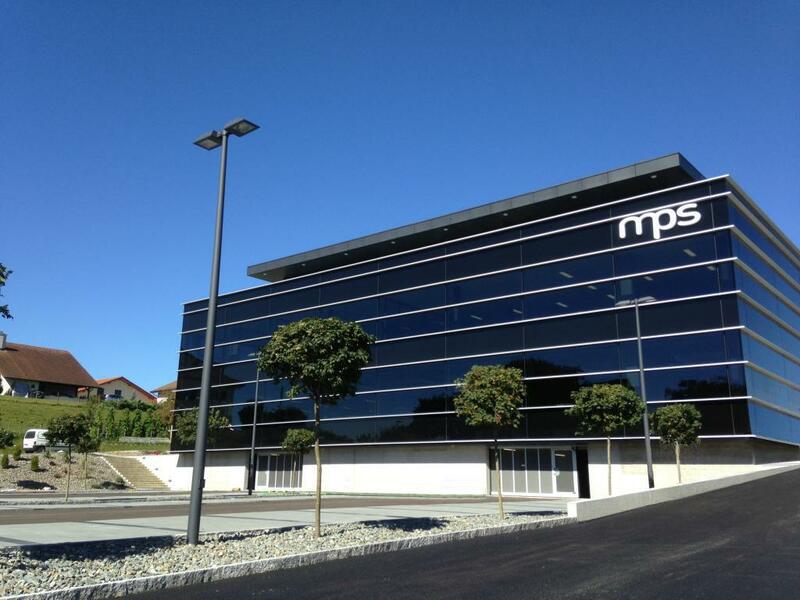 During spring, the Foundation will built a large 99 kW solar power plant on the roof of its partner MPS’s factory in Biel, with the collaboration of Soleol, also partner company. This large solar power plant, named “PlanetSolar II” (“PlanetSolar I” being the solar power plant represented by the PlanetSolar / Race for Water boat), will allow the Foundation to see its annual operating costs fully covered by the yield due to the sale of solar energy. Solar energy is not only a clean energy that makes possible to release fossil fuels harmful to the planet. It’s also a very profitable investment! Projet de centrale de 99 kW sur le toit de l’usine de MPS, à Bienne. Projet de Soleol.